Our two Local Ministerial Candidates (LMC’s), Jeff Slattery and Jordan Dennis, are going to be taking over our Wednesday Bible Study and Sunday School starting July 2nd and 6th. On Wednesdays, Jeff will be taking us through the book of Ephesians. On Sundays, Jordan will tackling Galatians. 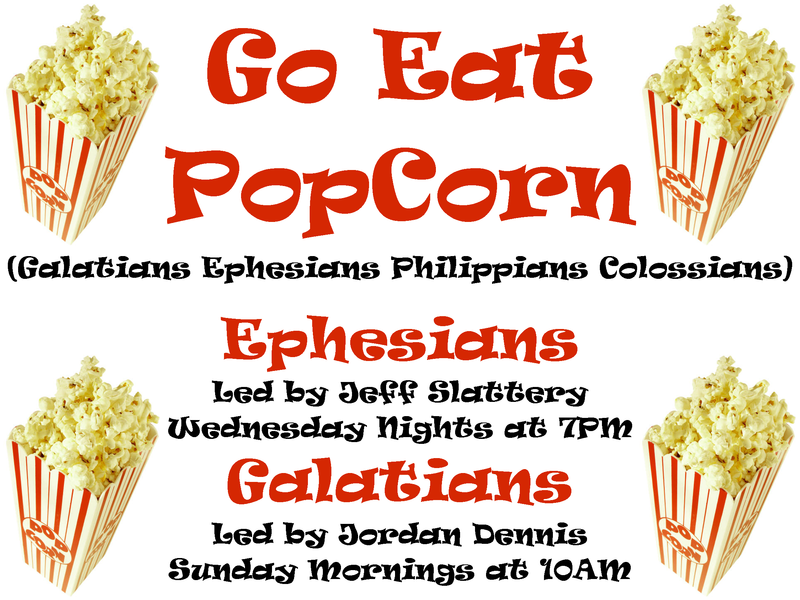 That will take care of Go (Galatians) and Eat (Ephesians), so you should expect Pop (Philippians) and Corn (Colossians) to follow in the Fall! Posted on June 28, 2014, in Uncategorized. Bookmark the permalink. Leave a comment.